If you’re anything like me, you’ve been greatly anticipating the arrival of spring. Warmer temps means hanging up our bulky sweaters and floor length coats to reach for blouses that flow in the wind and pants that do the same. 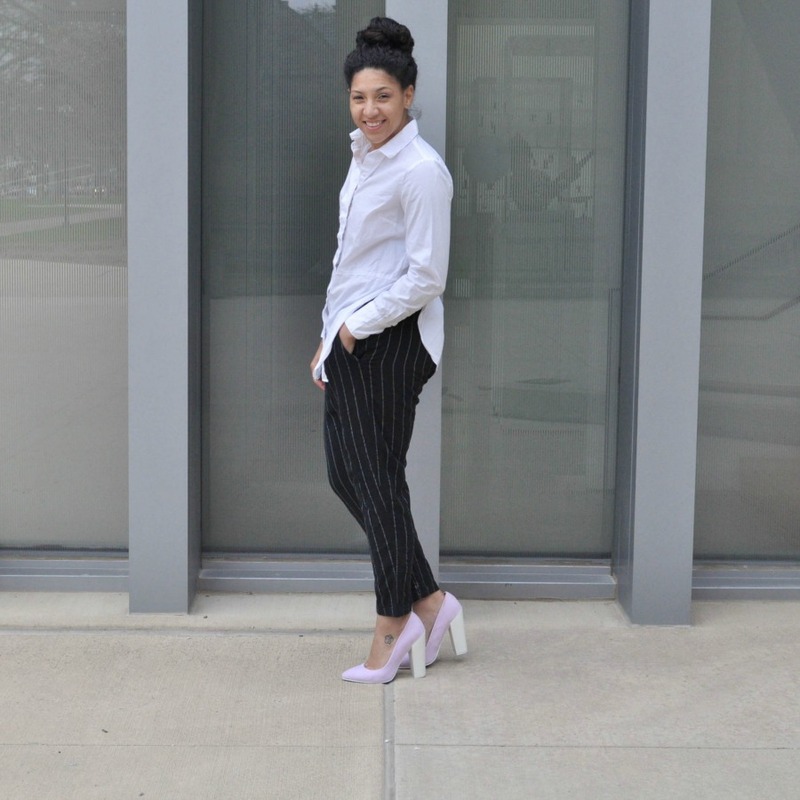 I thought what better way to celebrate the arrival of the spring weather than to share 5 easy spring work outfits to get you through the week? 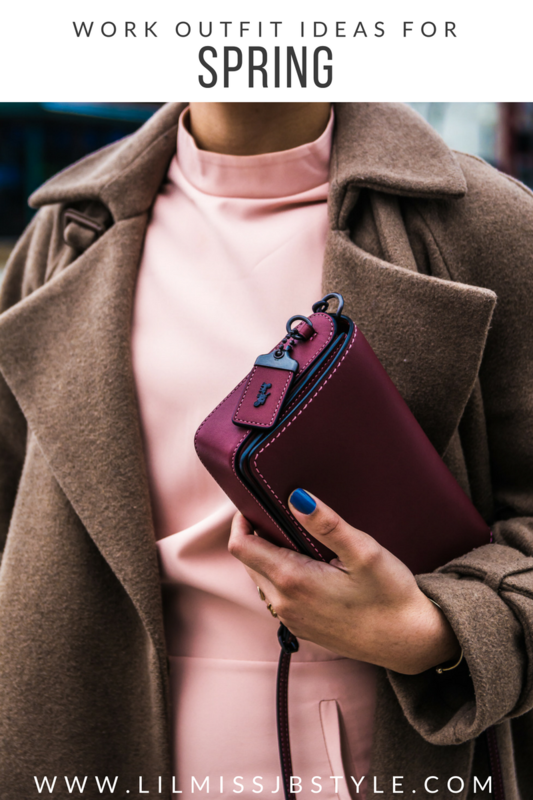 Keep scrolling to check out how to put together the perfect work look for your 9-5 using what you already own! Make sure you comment and tell me which look is your favorite! 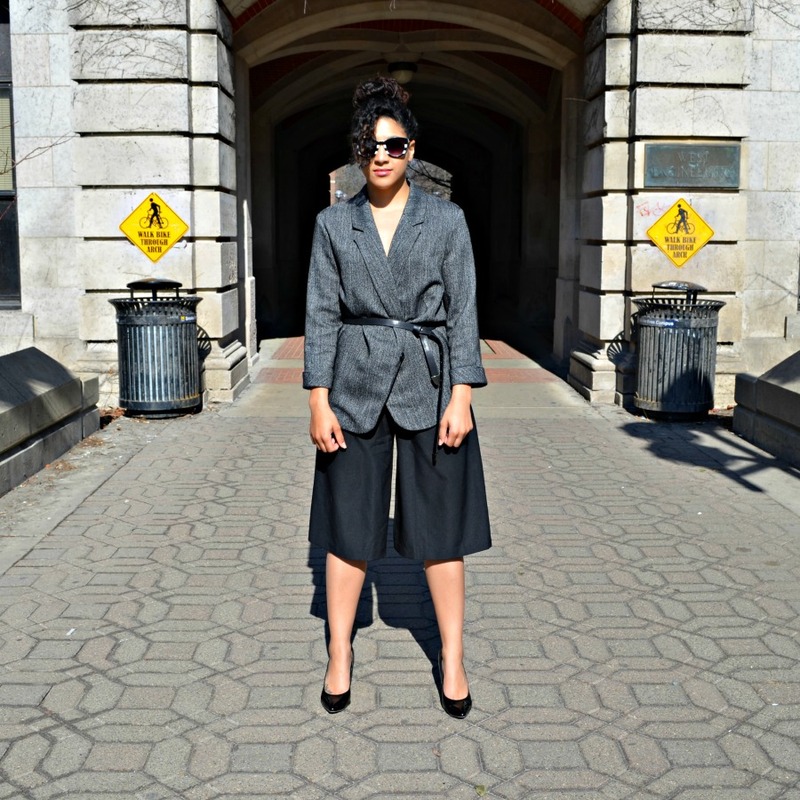 Rock a blazer as a blouse with a pair of culottes or awkward length trousers for a modern take on your classic suit. 2. Go with a monochrome look using neutrals other than black and pair it with subtle prints for a chic 9-5 look. 3. If you’re in a rush grab some barely there tie sandals to go with a stylish shirt dress for a quick yet polished ensemble. 4. Take a tip from the men and rock a button up with slacks, but add your own personal flair by wearing prints and colors. 5. Go bold with a brightly colored suit and blouse with a fun print, but keep your look from getting too busy by choosing neutral accessories. 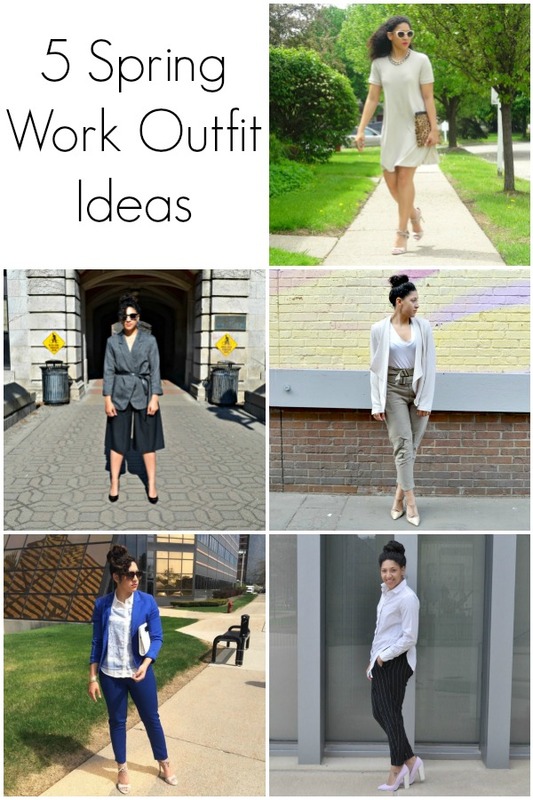 Need a little more help putting together a look for your 9-5? 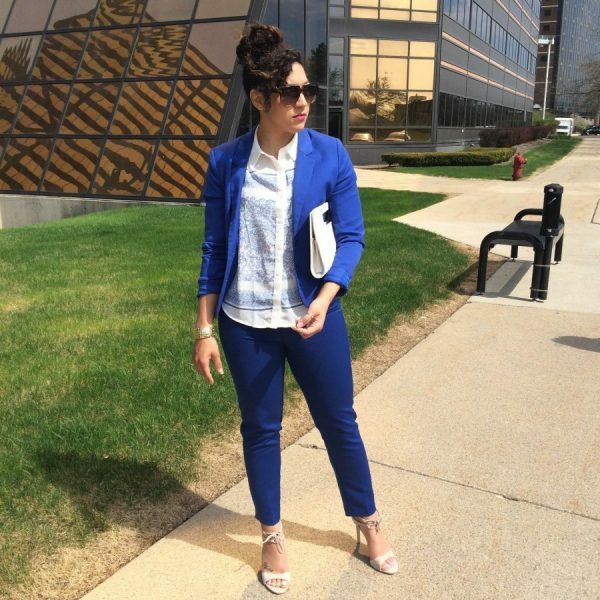 Check out my post on how to dress like yourself at the office. Or watch my video below! Great outfits! The 2nd and 3rd are my favs! Thanks Amy, I’m glad you stopped by to share! Love your work style, especially those pink block heels! Would love for you to linkup with me! Chanda glad you enjoy my style and I would love to link up with you! Great work looks – thanks for sharing! Come check out my latest collab with Express and let me know what you think – Happy Tuesday! Glad you liked them Rebecca and thank you for sharing! Love these looks, the cobalt jacket and am really eyeing those gorgeous block heels! Thanks Jess, the cobalt was definitely a fun and happy accident I put together and actually those color block heels will be available on my Poshmark account later this week. I LOVE the shades of beige outfit–you look fierce!! That was definitely one of my favorite looks, glad you like it as well Meagan!